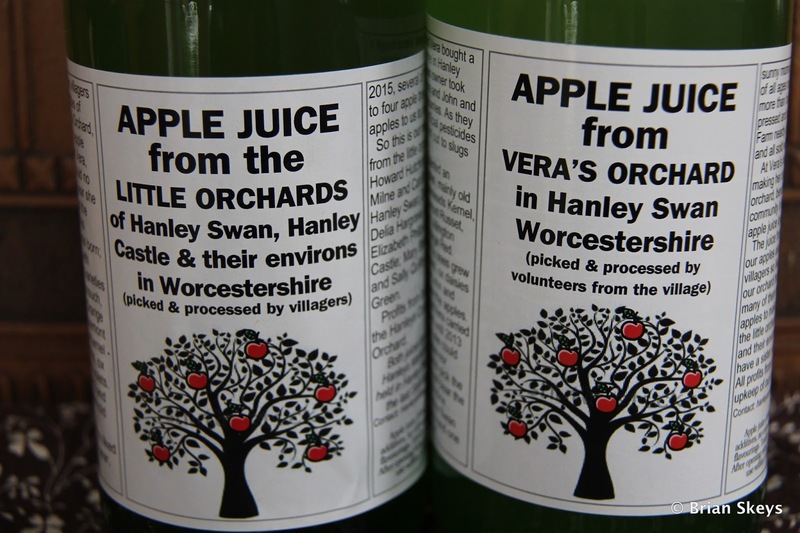 Written by Hanley Swan resident, Val Fare, and printed on the apple juice labels. In 1982 John and Vera bought a field near their home in Hanley Swan. The previous owner took his horse elsewhere and John and Vera planted strawberries. As they didn’t believe in artificial pesticides or fertilisers they lost out to slugs and birds. So in 1983 they planted an orchard, mainly apples, mainly old varieties such as Ashmeads Kernel, Ribston Pippin, Egremont Russet, Peasegood Nonsuch, Allington Pippin and Kidd’s Orange Red. The orchard thrived, the trees grew as did the primroses, violets, ox daises and wild orchids and John and Vera ate or gave away the apples. Neighbours in Hanley Swan heard of Vera’s dilemma and one sunny morning that October villagers of all ages met to pick her apples, more than half a ton. 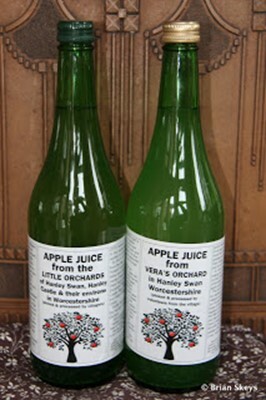 They were pressed and bottled at Clives Fruit Farm nearby, labelled by volunteers and all sold within six weeks. At Vera’s instigation we are making her orchard a community orchard, benefitting the whole community in the Hanleys and apple juice lovers everywhere. The juice from the 2014 crop of our apples also sold out. And our villagers so liked the concept of our orchard that this year, 2015 many of them have donated their apples to make another juice from the little orchards of the Hanleys and their environs. So now we have a sister juice also available. 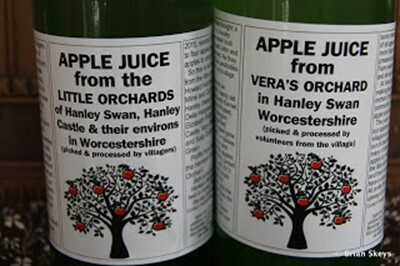 All profits from both juices go to the upkeep of our community orchard.